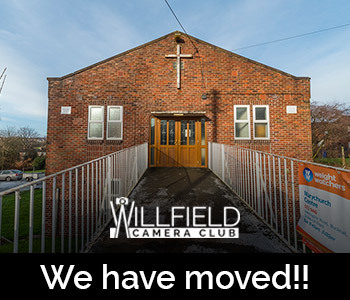 Willfield Camera Club has been asked to be the photographers for the Stoke-on-Trent City of Sport with a view to having exhibitions of our work at the six main leisure centres in the city sometime early next year. This is a BIG thing for the club, so we hope that many members do get involved. Even if you haven’t done sports photography before this is your chance to get out there and have a go. If you want Glyn to arrange someone to go to an event with you, let him know and heI’ll try and sort something out. There are some forms each member needs to sign. Glyn has copies and has emailed some to all members in case they want to print them out and get them back to him later. Don’t worry too much about the consent form for your subjects – John Appleyard is researching whether this is necessary – ignore it for now. We also have lanyards which need members’ pictures inserting and their signatures on them. Phil has taken some pictures of members and will take more – but if you have a passport sized photo of yourself that should do it. The lanyard will help us get closer to events and there are some BIG events coming up including a triathlon at Trentham Gardens in September. Glyn is picking up more lanyards ton Thursday 18th August as we weren’t given enough. We will keep you up to date with events and particularly when we may be able to get priority access/free tickets etc. Hang on to any pictures you take for now and further details will follow. Don’t forget you can use the pictures for Peter Hooper too so don’t forget about Peter’s talk recently-he is still awaiting your sporting pictures. Here is his website but we will add more information soon. Pictures can be of any sporting activity in the city or even of Stoke people taking part in sport anywhere else. Were any of you in Rio the other day for the Stoke lad winning the gold medal?? That would count if you were….. It could be a mud run, it could be people playing on one of the outdoor table tennis tables, it could be Gerald telling a bad joke while playing tennis with a squirrel, it could even be Stephen doing the high jump in flip-flops…. We will keep you up to date as things crop up and hopefully get another proper copy of the events leaflet soon. For now, get out and get shooting (you don’t need the lanyards to get started or the forms but you MUST sort them at some point), have fun and let us know if you have any questions.